Finding the perfect gift that symbolizes a holy Christian ceremony that is unique to that occasion is a rare feat, but that is the beauty of giving a personalized gift, unique to the recipient. A personalized baptism gift helps recreate that special induction rite, and it starts with just a personal touch of flare and creativity. 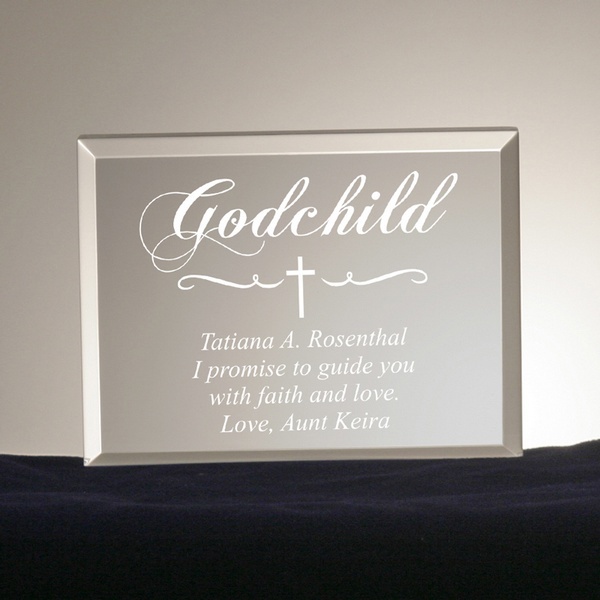 Personalized picture frames are favorites among god parents and family; they are a great way to capture a momentous moment between you and your godchild. Other baptism gifts include personalized wooden rosary boxes and personalized keepsake plaques, which can be engraved with more text — perfect for personal messages. A wooden rosary box serves as a lovely keepsake piece that they can cherish as they mature into young adults, by adding sentimental gifts received through the years from their godparent’s. Makes an excellent gift that they can look back onto when they have children of their own. These gifts are perfect for young children and newborn babies, and parents love them because they serve as excellent decor around the house. Personalized photo panels are great wall decor for newly decorated baby rooms, and can be personalized to include a date and message. Gifts that symbolize a christening ceremony are personalized cross presents. 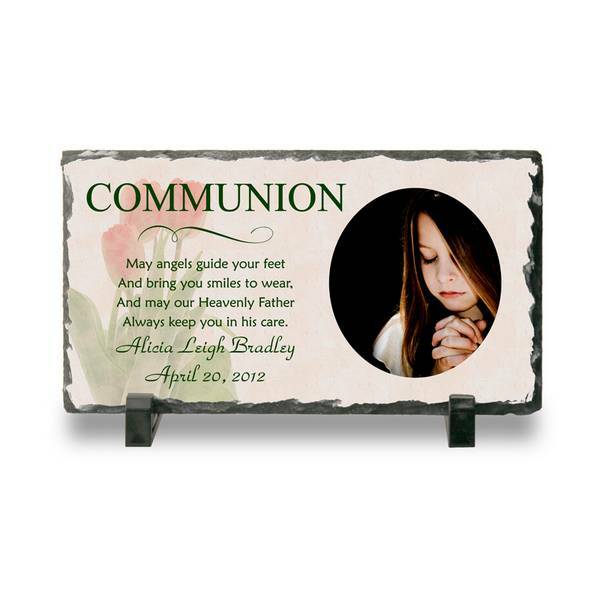 Cross plaques and cross photo frames capture the spirituality of the occasion. These are great heart warming gifts that touch the heart and soul. A momentous ceremony for boys and girls, and not only because it’s their first communion, but a sign of growth and commitment to faith. Communions are capture by hundreds of pictures taken by family and friends, which make for great keepsakes. 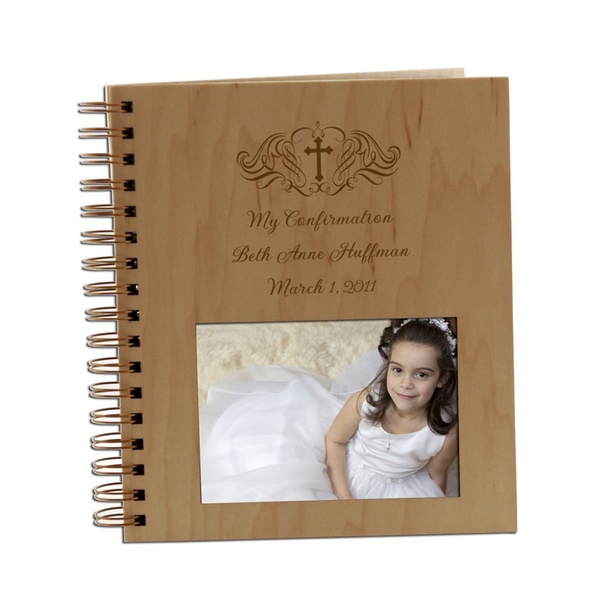 Personalized photo albums and photo frames are popular gifts among godparents. Traditional religious statues have always been popular for first communions, and an engraving makes them more special. 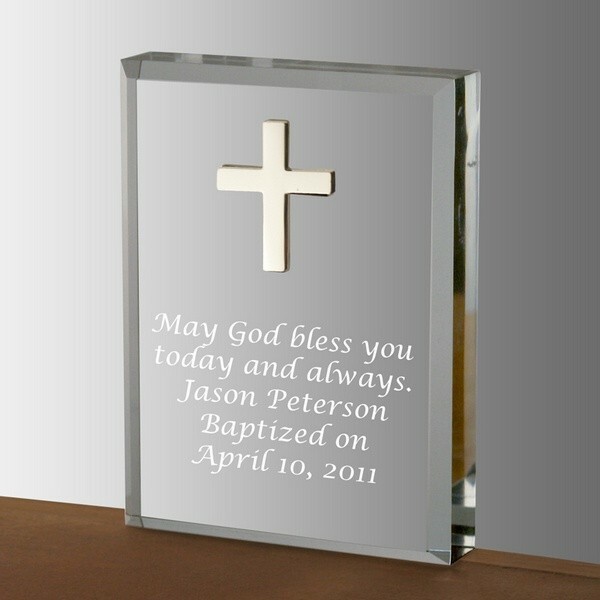 Traditional gifts include items such as wooden cross photo book’s and personalized silver wall crosses. There is no personalized gift that can compare to the sacredness and spirituality as the gift of the holy spirit bestowed upon in a confirmation ceremony. However, it shouldn’t stop you from personalizing a gift to that reflects the spiritual connection you experience. 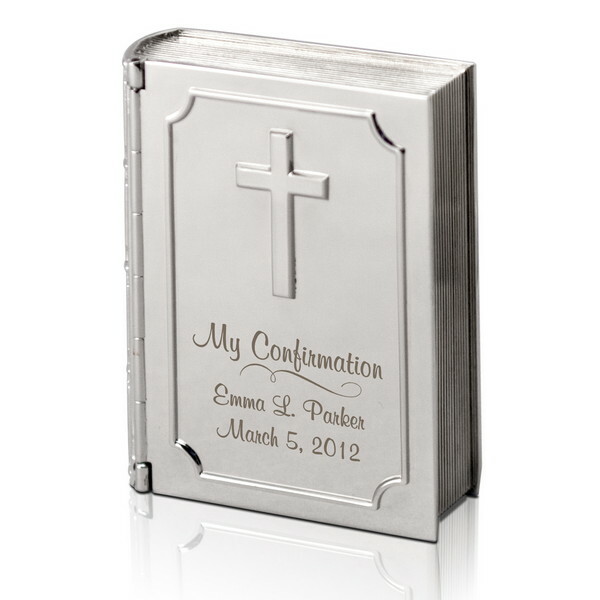 A personalized bible confirmation keepsake box is a unique way of celebrating their hard work and commitment, but the best part is in the personalization. Smiles light up, and are beautiful keepsakes that withstand the wear of time. The gifts below can all be personalized and engraved with a heartfelt message that only you can. There are over 100 religious gifts that can be personalized, but it takes your memories to create a unique and memorable gift. Trust your intuition, it’s the best guide anyone can ask for. Memories are the best way to help you find that perfect gift that will always be treasured.